Montessori of Alameda offers a bilingual (Spanish/English) preschool and kindergarten Montessori education for children ages infant to six years of age in Portland, OR. Come visit our multi-age classrooms where children work together as a community, caring for each other and the environment. We believe that children learn best when they explore and discover on their own, constructing their knowledge through hands-on experiences & problem solving. Our environments are rich in art, language, sensorial & cultural experiences. 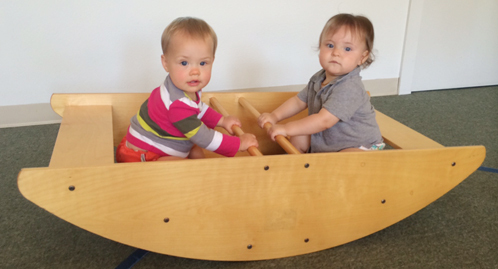 Montessori of Alameda offers an Infant Program which is a specially prepared environment for our children ages 3 months to crawling. 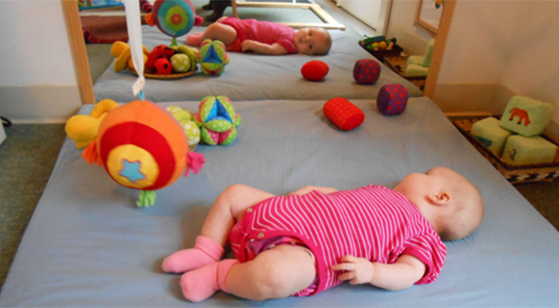 Our Mobile Infant Program is a specially prepared environment for children who are able to crawl. The Toddler Program rooms are carefully prepared environments for children walking-2.5 years of age. 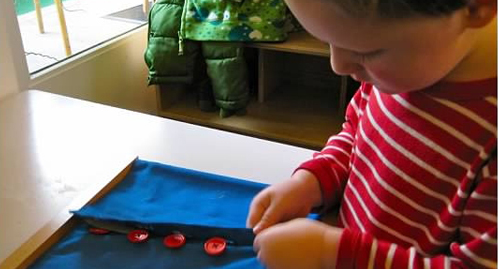 Montessori of Alameda offer a Pre-school/Kindergarten Program for our 2.5-6 year olds. We offer 3/4 day and full day schedules. The first step in the enrollment process is to give us a call for a personal visit. At your appointment our Director will greet you and show you our indoor and outdoor environments. We will take you through the rhythm of the day, talk to you about our schedules and the Montessori curriculum. You will be able to view our classrooms with children in action via our one way windows. At the end of your tour the next step is to fill out an enrollment form found here. Please keep in mind the tour is for you the parents to find out more about Montessori philosophy. We ask that on the first visit only adults attend. Once your child is enrolled he/she will be invited to visit with you. Your child will be invited to spend some time without parents in a working classroom where your child can explore a Montessori environment. This is a time when our Director can observe your child to determine which of our environments will best meet your child’s individual needs. Montessori of Alameda does not use a wait list, all spaces are guaranteed for a future point in time based on graduation dates of currently enrolled children. 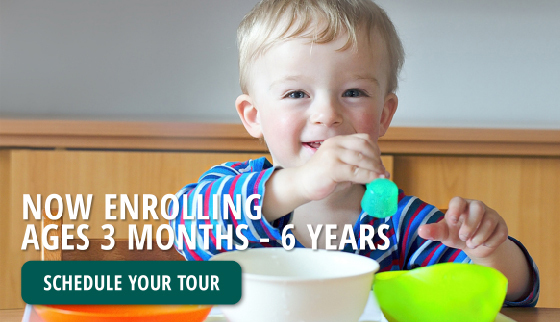 Pre-enrollment requires a full set of enrollment forms, the enrollment fee, a completed Ages & Stages Questionnaires (ASQ) http://asqoregon.com/, and first and last month’s tuition at the time of enrollment. After enrollment papers are received and prior to your child starting school, the teacher will call to set up an orientation meeting to review documents, policies and talk about the classroom. All spaces are guaranteed so all fees are non refundable. If you need to purchase items to prepare your child for school we have a site full of recommended products for purchase http://astore.amazon.com/astoremoamp-20. For initial enrollment we set up an electronic account that is billed on the 1st of the month. We accept electronic check, Visa and MasterCard only. Montessori of Alameda offers both parents and teachers the opportunity to learn more about the Montessori philosophy. We have parent education nights and a Teacher Education Program where you can become Montessori accredited at the infant and toddler, preschool and Kindergarten or elementary levels. Classes are held evenings and weekends to accommodate your busy schedules.